SMS marketing opens the door to many business growth opportunities. If done correctly, this mobile communication tactic can bring a slew of return customers to your brick and mortar establishment. To name a few, here are a handful of different awesome SMS side effects. 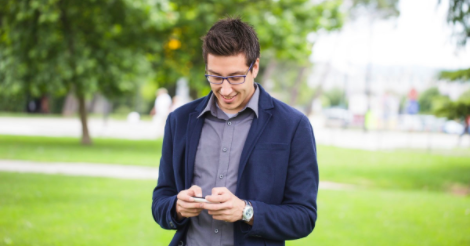 With SMS, there’s an opportunity to send out personalized marketing messages. This will greatly increase your offer redemption and general list engagement, as subscribers won’t feel like they’re just a number. Your campaigns will be made to fit each individual, and not just a mass generic blast. If you’re regularly touching base with your most loyal subscribers, you’ll hit what is commonly referred to as “top of mind awareness.” Although a somewhat overused marketing term, it still accurately defines something that every business owner should strive for. Let’s say you own a hot dog stand. There are also five other hot dog stands in your area. When people are hungry for lunch and think, “Wow! I could go for a hotdog,” you want them thinking of your stand. SMS marketing will help you get to this profitable place. Feel like you’re losing loyal customers to a competitor? Or maybe they just aren’t interested in your product line. Either way, you can reel them back in with an irresistible SMS offer. This will easily remind them that you’re still in business. Grow with an SMS marketing service that makes your success a top priority. If you have any questions, give us a buzz at 1.800.688.6290 or shoot us an email at info@slicktext.com. If you’re not into chatting, and ready to get started, head over to our pricing page and sign up for a free plan. Familiarize yourself with our service and this concept before you get too deep into your efforts.